May 22, 2009 Joint hearing with House Committee on Human Services. Andrea Calloway, CASA of Denton County, Inc.
Study the benefits, efficiencies and costs, and effectiveness of the social service related prevention and early intervention programs at the health and human services agencies, the juvenile and adult criminal justice agencies and other government agencies that have programs that address mental illness, substance abuse, child abuse and neglect, domestic violence, single-parent families, absentee fathers, early pregnancy, and unemployment. Study other states' prevention programs and efforts to administer these programs through a merged prevention department. Make recommendations to improve the efficiency and effectiveness of these programs. Review the timeliness and efficiency of the Health and Human Service Commission's eligibility system. Include a review of staffing levels and staffing distribution; implementation of Rider 61; and the increased demand on the system. Make recommendations to improve the efficiency and effectiveness of the system, focusing on policy changes that will not create a large financial burden for the state. Study and make recommendations on the state's role for facilitating the exchange of health care information in the future, including using the Medicaid exchange as a framework for the statewide exchange of health information between health care providers to improve quality of care; what information the state should provide; how to use this information to improve care management, prevent medical errors, and reduce unnecessary services; and policies and statutory changes needed to ensure that privacy is protected. Study the feasibility of developing multiple regional health information technology exchanges in Texas. Study the state’s current and long-range need for physicians, nurses, dentists and other allied health and long-term care professionals. Provide recommendations for ensuring sufficient numbers of health care professionals, focusing on medically underserved and rural areas of the state as well as the Border region. Consider health care delivered by Advanced Practice Nurses in terms of access, cost and patient safety and include an assessment of independent prescriptive authority with those states in which prescriptive authority is delegated by a physician. Make recommendations to enhance the efficient use of Advanced Practice Nurses in Texas. Explore strategies to support the needs of aging Texans, including best practices in nursing home diversion, expediting access to community services, and programs to assist seniors and their families in navigating the long-term care system with the goal of helping seniors remain in the community. Study the guardianship program implemented by the Department of Aging and Disabilities and the Department of Adult Protective Services, including the efficiency and effectiveness of the program, the relationship between the two agencies, the appropriate rights for parents, and whether clients and their assets are adequately protected to ensure the state is appropriately indentifying seniors in need of protection. Examine how the state could enact policies to improve the overall health of Texans, focusing on programs that compliment individually-based prevention with community-based prevention to reduce obesity rates by increasing physical activity, improving nutrition, and improving self-management of chronic diseases such as diabetes. Examine obesity-related health disparities between different ethnic groups and ways to narrow these gaps. Consider the fiscal and health impact of second-hand smoke on businesses and service sector employees. Study state-level initiatives to incorporate these individual and community-based prevention strategies, including initiatives pursued in other states. Study the state’s ability to appropriately respond to the H1N1 influenza pandemic by examining issues related to vaccine distribution and capacity. Consider the benefit of providing the state’s independent school districts and various health authorities with standardized protocols for issues including, but not limited to, vaccine administration, absenteeism and the cancellation of school and other school-related events. Assess the state's ability to track and record H1N1 vaccinations through the ImmTrac registry, and review statutes governing ImmTrac to increase the effectiveness and efficiency of immunization information systems. Study current state health care quality improvement initiatives in Texas, including statewide health care-associated infection and adverse event reporting, reimbursement reductions in the Texas Medicaid program for preventable adverse events, potentially preventable readmissions identification, health information technology implementation, pay-for-performance programs, and other initiatives aimed at improving the efficiency, safety, and quality of health care in Texas. Identify statutory changes that may build upon efforts to improve quality of care and contain health care costs in Texas. Study policies that encourage and facilitate the use of best practices by health care providers including the best way to report and distribute information on quality of care and the use of best practices to the public and to promote health care provider and payment incentives that will encourage the use of best practices. The study/recommendations could also include assessing the best way to bring provider groups together to increase quality of care, the use of best practices, and reduce unnecessary services. Study current practices of the Texas Medical Board relating to disclosure of complaints. Review the types of human stem cell and human cloning research being conducted, funded, or supported by state agencies, including institutions of higher education. Make recommendations for appropriate data collection and funding protocols. Review the Medicaid HCBS waivers (CBA, STAR Plus, CLASS, MDCP, DBMT, TxHmL) and develop recommendations to assure that people with significant disabilities, regardless of disability label or age, receive needed services to remain in or transition to the community. Review should look at the delivery system, eligibility, service packages, rate structures, workforce issues and funding caps. Examine options for the provision of services for children aging out of the Medicaid system. Make recommendations for streamlining/combining these waivers, ensuring that these waivers are cost effective or create cost savings, and developing policies that contain costs in an effort to increase access to these services. The review should examine other states' community care waivers and provide recommendations relating to efforts that have been successful in other states. Study the type, duration, frequency and effectiveness of mental health services available to and accessed by abused and neglected Texas children. Recommend strategies to address the impact of the trauma, and enhance therapeutic services available to this population in an effort to eliminate the cycle of abuse and neglect. 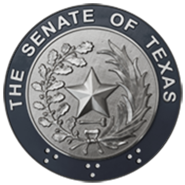 Monitor the implementation of legislation addressed by the Senate Committee on Health & Human Services, 81st Legislature, Regular and Called Sessions, and make recommendations for any legislation needed to improve, enhance, and/or complete implementation.